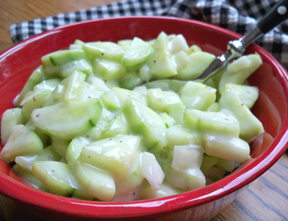 Soak sliced cucumbers in cold water with salt for 30 minutes. Drain and rinse. 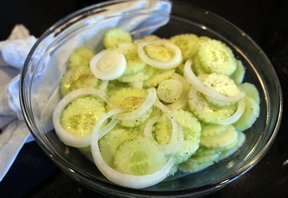 Mix together other ingredients and pour over cucumbers and add sliced onions; refrigerate.